What to Eat When You Have Sinus Infection? 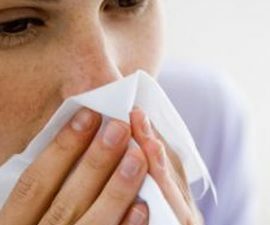 Most people with sinus infection (a.k.a sinusitis) find that it is harmless, not serious. However the symptoms of the condition can be very bothersome, making you downright miserable. Fortunately, the treatment is usually not more than adequate rest and liquid. It often responds with lifestyle measures. What you eat may help, too. Nasal discharge, especially with green /yellow discharge – or nasal congestion (obstruction), blocked nose. Discomforts (such as pain, tenderness, pressure, or swelling around the nose, eyes, cheeks, or forehead), which usually get worse when you bend over. 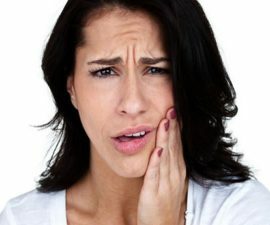 Sometimes, the infection may also cause toothache (especially ache in the upper teeth), pain in the upper jaw, or ear pressure. Decreased sense of smell, which may also be followed with bad breath. High fever, could be 100.4F or higher. Persistent cough, which usually worsens at night. The first thing you need to know, not all cases are the same. The cause of the infection can also vary. It could be bacterial, viral, or even fungal infection. But again, most cases usually improve with lifestyle measures. Keep hydrated! Having adequate liquid throughout the day can help your nasal passages moist and ease the blockage. Take adequate rest! This is important to boost your recovery, and also good to help your body fights against the infection. Sleeping with head-elevated may help! The use of saline nasal solution, warm compresses, or warm-steamy bath may help, too. 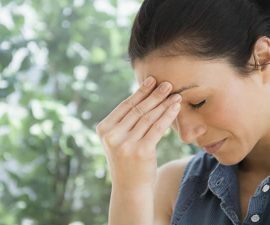 For comprehensive guide about sinusitis home remedies, see this section! Although it is often considered mild problem, see a doctor promptly if it lasts longer than what you expect or if the symptoms get worse! In rare cases, it could be serious particularly if it is linked to certain health condition such as nasal polyps or tumor. A frequently asked question, is it necessary to take antibiotic? Antibiotic is actually not necessary for sinusitis. Even though if the problem is caused by bacterial infection, it often improves without antibiotic! So you should not take antibiotic right away in order to avoid antibiotic resistance. But if the infection hangs on or if the symptoms worsen, antibiotic may be prescribed. Water, water, and water – this is the first tagline you need to remember. Keeping hydrated is important to help promote drainage and dilute your mucus secretions. Restrict caffeine and alcohol, because they can lead to dehydration! A study also suggests that alcohol may worsen the swelling in sinusitis. How many glasses of water should you drink a day? This can vary from person to person. In general, drinking about eight 8-ounce glasses of water is easy guideline for most people. Since we can also get fluid from food, some experts suggest that the rule can be reframed as ‘eight 8-ounce glasses of FLUID a day’. There are also a number of foods and drinks that can help treat sinus infection naturally and ease its symptoms. Some are outlined below! If you love spice, this can be a great idea to help get rid of your sinusitis more quickly. A number of spices can open and clear the nasal cavities. Some may also help ease the symptoms such as headache and pain. Radishes These edible-root vegetables are rich in vitamin C, antibacterial and antiviral properties. You can use them as a natural decongestant. Raw garlic It contains essential substance called allyl thisulfinate, which can also act as a natural decongestant. You may breathe a bit better afterward, though it can make your eyes water for a few seconds. Don’t use contact lenses otherwise your eyes won’t water! To ease its bad smell, enjoy it with salad dressing! Spicy mustard Mustard, a popular condiment derived from the seeds of a mustard plant, can be another choice to help release congestion. It is available in many forms, from higher-end freshly prepared condiment to commercial preparations. Ginger It is one of the foxy herbs and spices in many Asian countries. You can enjoy it in many ways, either cooked for spice or you can boil it with water for a number of stimulant beverages (such as ginger tea). It contains antibacterial and antiviral properties, and also other essential substances to help ward off cold-like symptoms which are common in sinusitis. Horseradish Another natural, powerful decongestant is horseradish. You can feel a tingling sensation in your nasal passage a few seconds after eating it. This can help loosen your nose, easing the blockage inside your nasal passages. Chilies If you’re looking for the spiciest and more powerful decongestant, chilies are the answer. They are high in special natural painkiller called capsaicin. A few seconds after eating them, you may have watery eyes and runny nose – but this can help break up your congestion. Raw onions They are spicy and pungent in different ways. Like chilies and raw ginger, they are natural decongestant and can also lead to watery eyes when you eat them. Brown onions are the most pungent, then white and red variety. This can be one of good ideas for your breakfast. It’s simple, but healthy – you only need about a half cup sliced mushrooms and two eggs to make it. When you have sinusitis, it’s important to make sure that your body immune system work well so it can fight against the infection optimally. Mushrooms are good for your immune system. Their shitake to button are excellent immune powerhouses. Eggs can also help boost your immune system, because they are high in zinc. For best result, eat your mushroom omelet with a side of spicy salsa to help open the blocked nasal airways and flush out the sinuses. According to some studies, the ingredients in chicken soup have a medical effect on the immune system – what our moms have suspected all along was right. Chicken is a good source for cysteine, a kind of amino acid that may help calm ‘stuffed up’ nose. Other ingredients such as onions, celery, and carrot also contain certain substances for your immune booster. Bonus, the hot broth is good for your hydration. Sinusitis may affect your appetite or cause bad breath. But this doesn’t mean that you cannot enjoy your snacks. Instead, some can help ease the symptoms and boost your recovery. Try yogurt (especially low-fat yogurt)! It is a cold sufferer’s best choice since it is high in probiotics to help ease the cold-like symptoms and decrease the body’s inflammatory response. Another choice is kefir, fermented mild drink, can be your alternative choice if you don’t like yogurt – it is loaded with probiotics, too. Sweet potato is also excellent choice for your healthy snack. It is packed with fiber and vitamin A. You can cook and enjoy it in many healthy ways. For instance, bake a half sweet potato with a pinch of salt and a teaspoon of virgin olive oil! What’s best to drink for sinus infection? Sinus Toothache: How Long Does It Take to Go Away? I know this article is not enough to cope with. Just find what you’re looking for by using the form ‘search’ on the right, top-corner of this page. But overall, there is actually no specific diet for sinus infection. 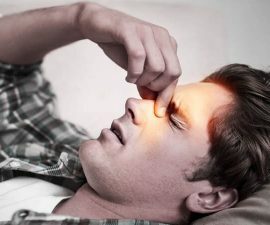 The key is to keep your sinus moist and have enough sleep /rest.